This plaid shirt is a dark green. Its plaid goes diagonal along the button line and on the pockets. It does up with snaps and has two breast pockets. It also has some sort of dark green embroidery on the shoulders. 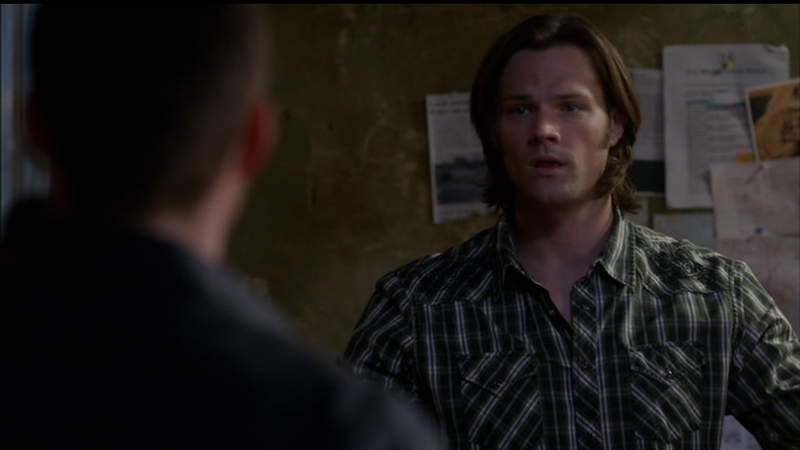 In Swap Meat (5x12), this shirt appears the first morning that Gary is in Sam’s body, as he and Dean get the Impala, and he tells Dean where the witch is buried. Sam’s body wears the shirt for the rest of the episode – only losing it briefly, when Gary sleeps with the cougar from the bar. 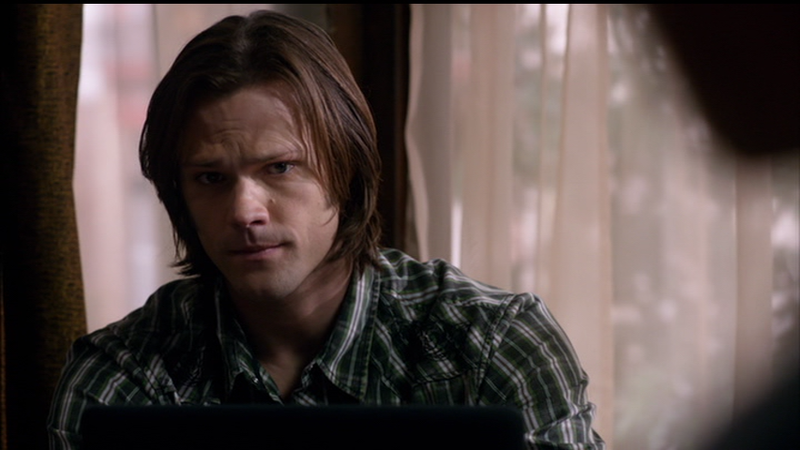 In Weekend at Bobby’s (6x04), Sam is wearing this shirt when he and Dean are fighting the Lamia in the church rectory. In The Slice Girls (7x13), Sam wears this shirt fro when they start researching using Bobby’s books until the end of the episode. In The Great Escapist (8x21), Sam is wearing this shirt at the beginning of the episode while researching in the bunker and generally feeling ill. He changes after he decides they need to go to Colorado and before they arrive in Colorado. You'd have to take a closer look at the episodes to be sure, but my guess is tortoise shell brown.